A recent weekend spent in Yale with the Fordham Squash team may not have ended in victory for the Rams, but luckily the timing and location of the College Squash Championships happened to coincide with Yale’s second annual TEDx event. 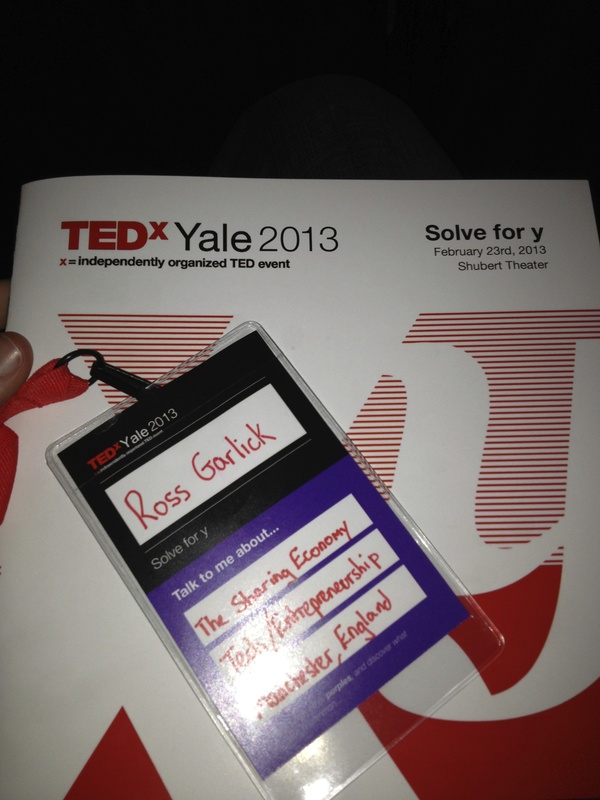 As a TED aficionado, I continually find myself inspired by the thousands of speakers addressing a broad spectrum of topics, many of which I knew little about or didn’t even know existed, and so I felt compelled to attend the TEDxYale conference while I had the chance. I wasn’t disappointed. TEDxYale’s theme may have been “Solve for Y”, but I viewed the missive underlying all of the talks as a call to action, asking us to reevaluate the status quo in many of the things we take for granted, such as the purpose of the education system and the theory of evolution. Cody’s argument is not just that chess can be used to improve children’s test scores, but rather that it gives children indirect skills that are useful in all areas of life. As TED Prize Winner Sugata Mitra points out, our contemporary world no longer needs an education system that produces millions of literate workers to keep the colossal bureaucratic system functioning; rather, more focus needs to be placed on indirect skills to fuel the burgeoning creative economy. With even “skilled” jobs such as accounting slowly being cannibalized by technological advances, indirect skills such as creativity and pattern recognition are more valuable than ever. One of Cody’s strongest arguments about the value of Chess is its ability to act as an equalizer for people from all walks of life. In his Talk he recalled the time when he was trounced by an 8 year old, and another occasion in which an academically weak child ended up beating all of his “more intelligent” classmates and breaking into tears at the realization that “he wasn’t actually dumb”. Chess offers no barriers to age, gender, income bracket or even language. In an age of great inequality, it is important for people of a wealthier background to realize they are not inherently superior to those less fortunate, and even more important for those who don’t have all the opportunities in the world to challenge (win or lose) others from a more privileged background as equals. I share Cody’s views on the values of Chess within education, and I personally think Debating is another activity that teaches important indirect skills: confidence and charisma, cohesive argument formulation, persuasion and rapid analytical ability (in order to provide a strong rebuttal). The ability to win a debate using reason and evidence is no mean feat, and from first-hand experience I can tell you that if accomplished, winning can provide an immense amount of personal satisfaction. The skills taught by debating are hugely important for any successful entrepreneur, marketer, politician or lawyer; more importantly, however, they provide a person with a much better basis for analyzing the world around them. The ability to weigh evidence and develop an informed personal opinion on any topic is one of the most fundamental skills needed to succeed in a world suffering from information overload. Debate Societies are important for providing impartiality and fairness to various parties, but oftentimes the most fun and most productive debates occur informally, between teacher and student or just amongst friends. It is vital that children in the 21st century learn the skills offered by debate. I personally wish there was more scope for informal debate at Fordham University, and lament the lack of a facility conducive to such an event (I hope to make The Blend more of a forum for student debate). The more I discover the diversity within the Fordham student body, the more interested I am in holding conversations with people to discover their points of view. The current education system has remained largely unchanged for 300 years, but society and the economy have been transformed to the extent that their 18th century equivalents are no longer even recognizable. Indirect skills are crucial to modern life, and Chess and Debate offer easily accessible avenues to a better education. Let me know if you agree or disagree, and how we could go about making chess and debate mandatory in schools! P.S. If you want to watch Cody’s Ted Talk in full, you can watch it here.